The meteor striking the atmosphere over Siberia on February 15, 2013, was, of course, not the first such disaster to strike the region. In 1908, an asteroid struck Tunguska, Siberia, ramming into the earth with power 1,000 times that of the atomic bomb that destroyed Hiroshima. My grandfather, Werner Wehlen, saw that explosion when he was twelve years old on his parents’ farm near Sundsvall, Sweden. Only when he was 83 years old, after he had immigrated to the United States and settled in the Midwest, did he learn what it was he had witnessed that summer day 70 years before. Trees knocked over in the blast from the 1927 expedition. As he told his story in his lilting accent, “Last week I went to a lecture given at the University of Chicago given by a famous astronomer from Harvard. He told about a new theory they have now; that a tiny particle of antimatter–something very dense but very small–passed right through the earth in 1908. It left a big circle of wreckage in Siberia and it came out somewhere in the South Atlantic. There was a flash of light seen over northern Europe at the time that it was supposed to have hit. As he was talking, I remembered seeing such a flash, sitting in my farmyard in Sweden when I was a boy. It was so bright it took the color out of everything, even though it was daytime when I saw it. “After the lecture, I raised my hand and told the astronomer I had seen that light. He became very excited and asked me where I was when I saw it and what year it was. I was able to date it pretty exactly, because it happened at about the time of the death of a cousin of mine. The astronomer wrote down my name and the place I lived in Sweden. Then he told me I was lucky, because I was probably the only person in the room to have seen that flash. In fact, I was the only person he had ever met who had seen it. Most of the other people in the lecture room were young students, and the astronomer himself was only about forty years old. 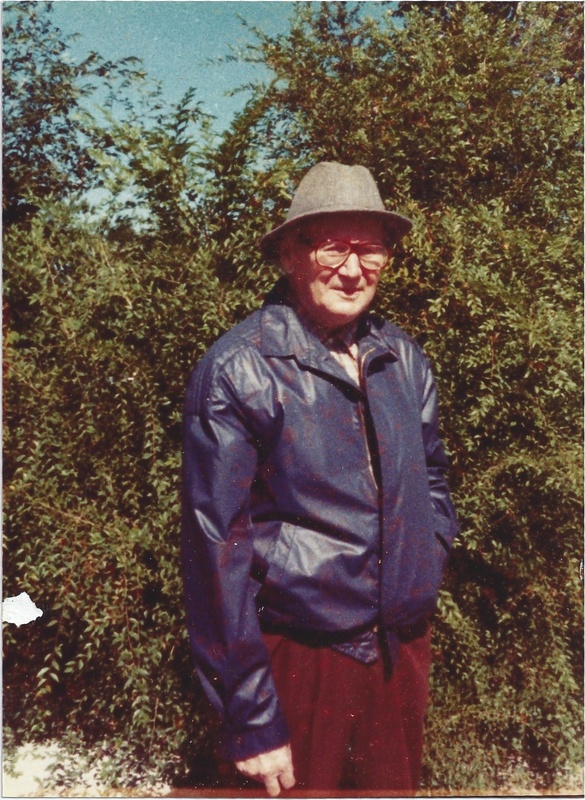 My grandfather, Werner Wehlen, in 1984 at age 87 after his first airplane ride. For my grandfather’s generation, waiting a lifetime to find out about a scientific or environmental calamity, would not be unusual. Now, videos of catastrophes are uploaded on YouTube filmed by dashboard cameras and shared with the world almost instantaneously. Isn’t life strange? Joan also writes about the coincidence of personal, political, and environmental calamity. On Thursday, January 26, 1939, at age 16, she writes about the death of her best friend’s father. “Gee, I came home and Mom told me. I used to play cards with him and tell jokes and I saw him last Saturday and today he is dead and the Spanish Civil War is over and the Chinese War is going on and 8,000 people died in the Chile Earthquake and people all over the world are eating their suppers and doing their homework (as I shall) and laughing and reading and moving about in lighted rooms and a man I know is dead. “El Mirador Alemán”, in Concepción, after the earthquake. It’s funny . . . coming home on the elevated train tonight I made an equation—a geometric equation to prove that Life cannot be cancelled. Matter and Energy cannot be cancelled. Therefore: you cannot cancel Life. But I don’t know. I will not be speaking to my friend’s father any more. 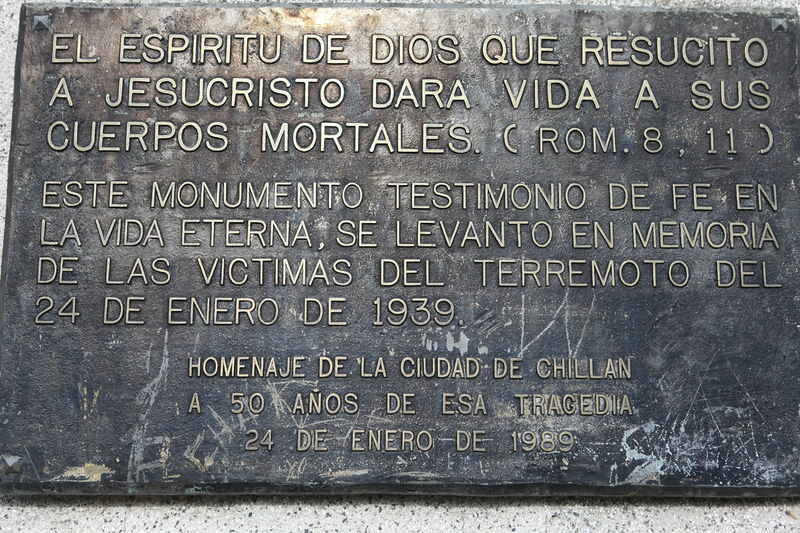 The actual death toll in Chile was much higher, estimated to be between 25,000 and 50,000. My grandfather, on learning what he had seen in the “old country,” asked, “Isn’t life strange?” Now we know that an object half the size of a football field narrowly missed the earth on the same day that another object –thankfully, much smaller – slammed debris into it. Life is strange—and precious. All we have—the dashboard cameras, the YouTube videos, the farmyards, the diaries, the memories—could disappear in a flash. A flash that may be remembered by someone decades hence. Posted in Susie's Blog and tagged American Mosaic, Chile Earthquake, chinese war, energy, life, matter, meteor, newsreel General Franco's troops enter Barcelona during the Spanish Civil War, siberia, Spanish Civil War, sundsvall sweden, Tunguska, university of chicago, werner wehlen. Bookmark the permalink.